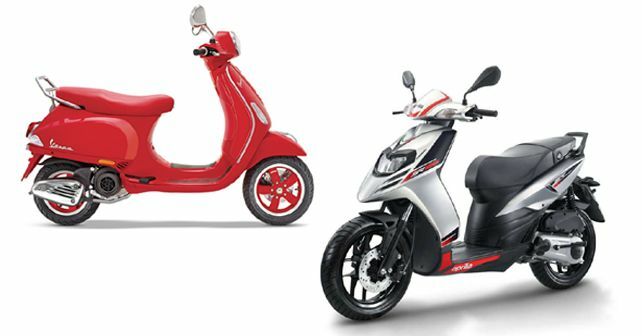 With the revised two-wheeler safety norms in play, Piaggio India equips its Vespa and Aprilia scooter models with the necessary safety kit. Starting from 2019, Piaggio India has equipped the entire range of Vespa and Aprilia scooters with either Anti-lock Braking System (ABS) or Combined Braking System (CBS), in line with the ruling by Ministry of Road Transport and Highways on the upgrading of two-wheeler safety norms. Why we say 'either' technology is because of the fact that all scooters available in the 150cc variants get ABS, while the lower 125cc segment scooters get CBS. With this, Vespa and Aprilia become the only two brands in India to offer ABS on scooters. So, to summarise, Vespa models like the Elegante 150, VXL 150 and the SXL 150 will available with ABS whereas the Vespa VXL 125, LX 125, SXL 125, Notte, Red and ZX 125 will be available with CBS. Likewise, the Aprilia SR 125 is now available with CBS while the SR 150 and SR 150 Race will be equipped with ABS. To promote its ABS-equipped range of scooters, Piaggio India has also tied-up with PayTM for providing cash benefits of up to ₹ 6,000.